Longtime readers will know I have a soft spot for puns. 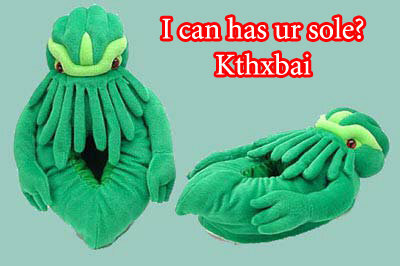 This one was great, though the plushness has kept it from the site until now. I have bunny slippers, but these are cute! Oh my gosh. I have never laughed so hard at such a baaaad pun before. Ahahahahaa. These are excellent.